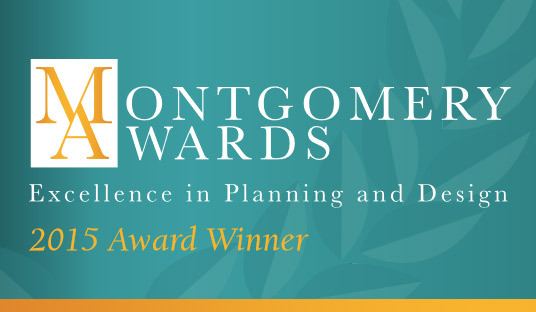 Sal Paone Builders’ Cold Point Village community has been honored with a 2015 Montgomery Award for Excellence in Planning and Design! The award is presented annually to recognize exceptional communities and builders for extensive planning and collaboration, creative site design and appealing village character. In announcing the award, the selection committee noted that, “This mixed-use development consists of carriage homes and commercial buildings that are designed and sited to evoke a village-like setting. 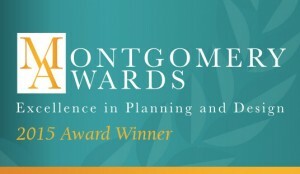 This project demonstrates how successful collaborations can result in an inviting neighborhood that enhances a community vision.” Sal Paone Builders was proud to accept the award on behalf of all of those who were involved in the creation of this fantastic community. That includes the Vanguard Realty Associates team who helped so many buyers find their dream homes at Cold Point Village. This entry was posted on Monday, December 14th, 2015 at 3:35 pm and is filed under Cold Point Village. You can follow any responses to this entry through the RSS 2.0 feed. You can leave a response, or trackback from your own site.